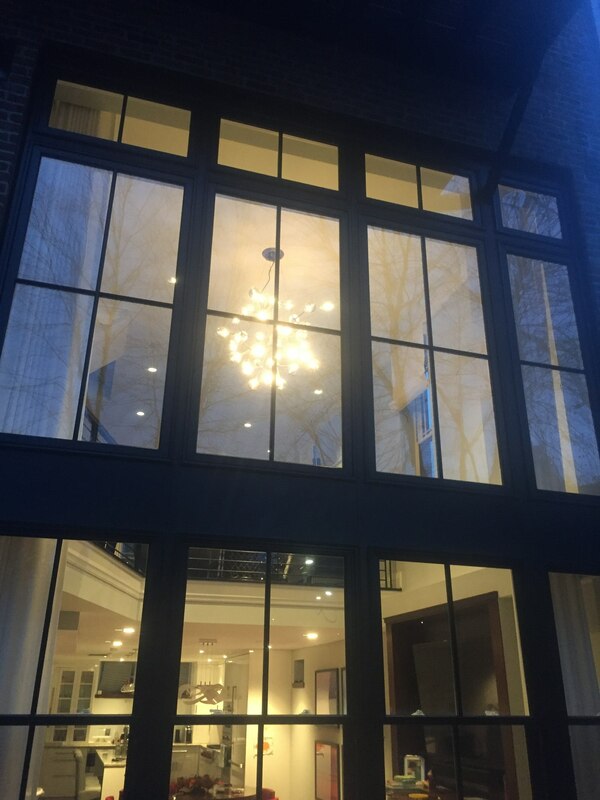 Editor's Note: I just moved into a Brownstone with a two-story foyer and I just finished the lighting. 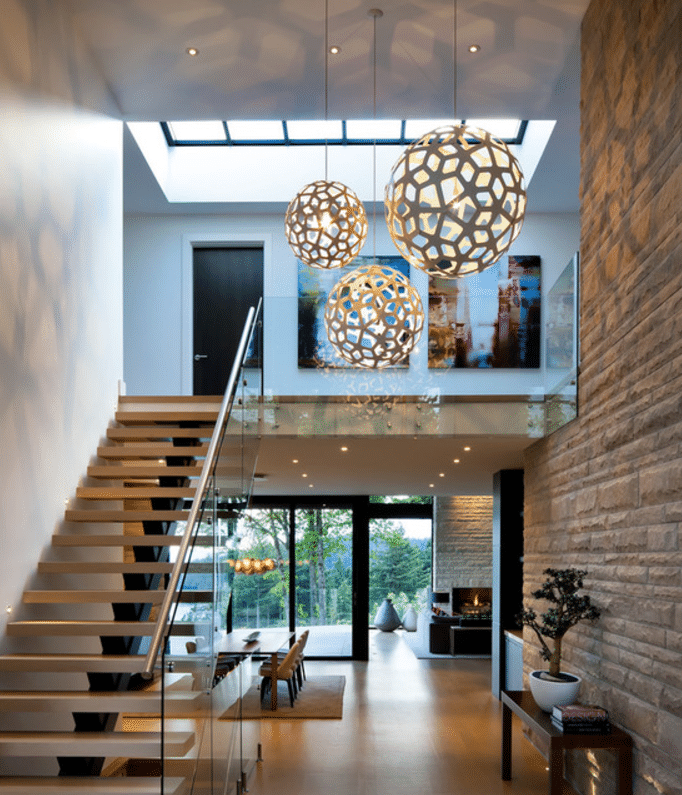 I am more of a fan of contemporary lighting than traditional. I found the hardest part to be sizing. There are no real rules of thumb for sizing a foyer piece. I also learned that decorative lighting does not light the room. What lights the room is recessed and/or track lighting. However, my best advice is to find a fixture you love. Usually in a brand's series, they will produce a number of different sized fixtures. Look for their foyer pieces. 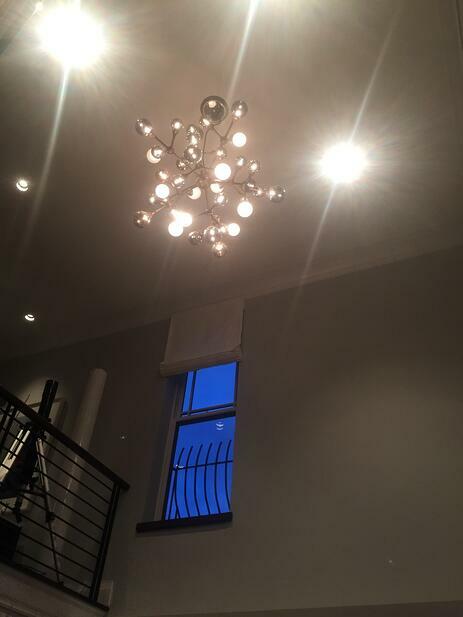 I hung the fixture so the bottom lined up with the top of the second-floor railing. The actual size is about 1/3 the width of the foyer by design. 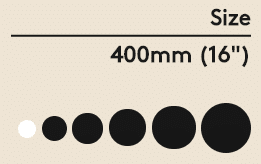 You may want to use this as an informal guide or size it differently based on your personal preference. What are the best large fixtures for your foyer? 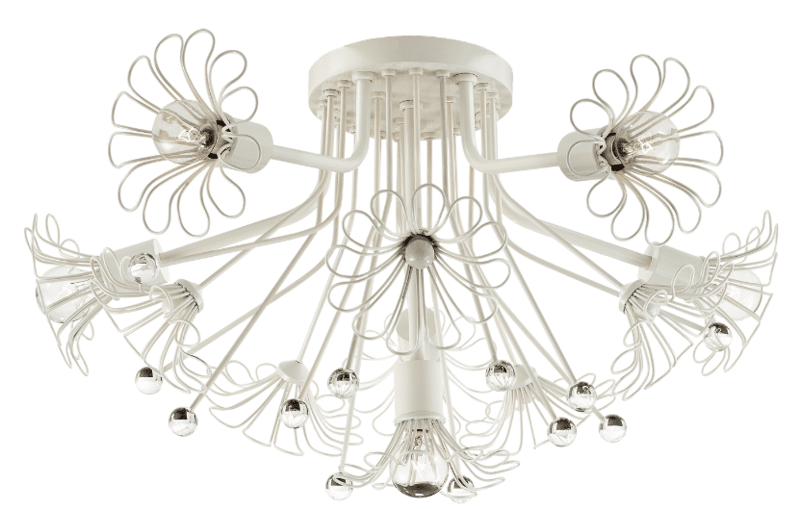 When you talk about "contemporary" chandeliers you think that they would only fit into a modern home, right? Wrong. 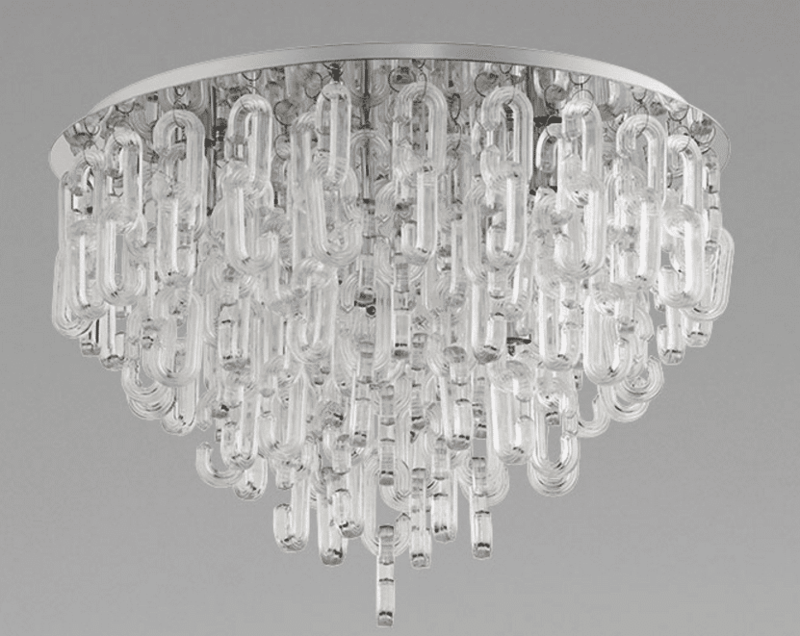 We are seeing a growing trend here in New England, known for being very traditional, yet today, my clients are buying more modern entrance chandeliers than ever before. We are displaying them all over our store and have tremendous positive feedback from our clients. Even though your home may be a center entrance colonial or a 2-story, federal style foyer, we can really jazz it up with a spectacular piece of art that illuminates the foyer. Today, as you read this blog, keep in mind these are not limited to only modern homes. They will go beautifully in many different traditional and transitional style homes. 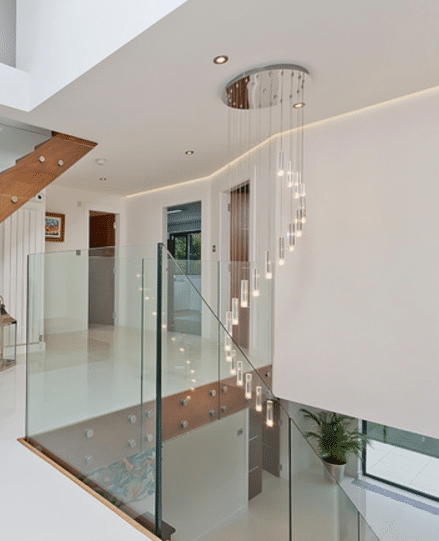 Think of this when your updating an older or tired foyer! 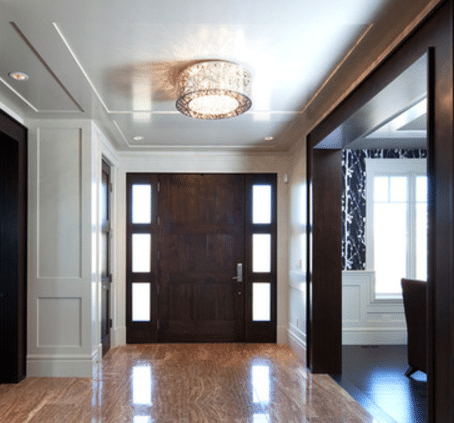 In this blog, you will not only find some pictures for inspiration, but we will show you how to size your foyer chandelier and cover everything you need to know. But first let's define what contemporary style is. 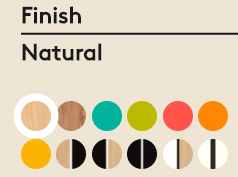 Traditional and modern are the polar opposites of design. Contemporary leans to the modern style but can have some traditional features and colors than the starker modern pieces. 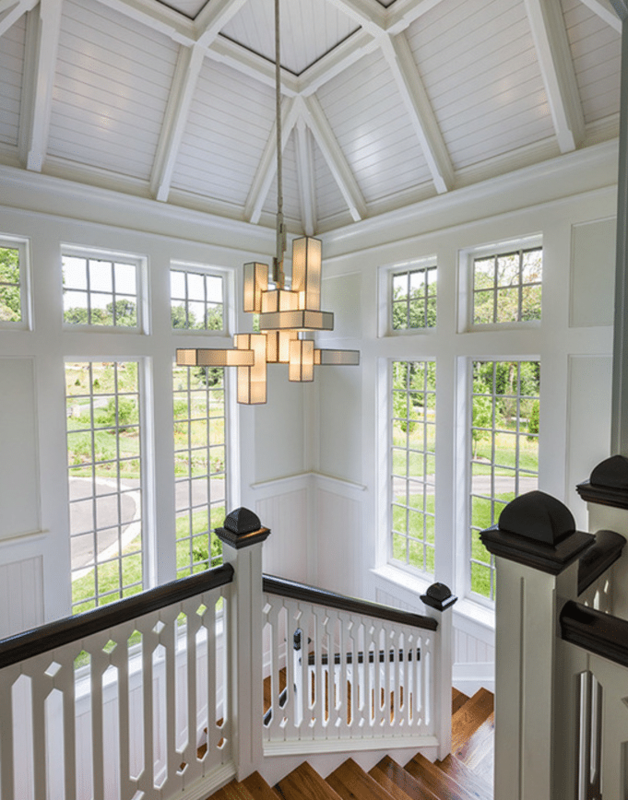 Transitional, Farm, Retro, Neo Classic, and other terms are simply varying elements of the traditional or modern style. Boston has been traditional with Brownstones and other Colonial architecture, but Contemporary fits very nicely into this style if executed properly in your home. 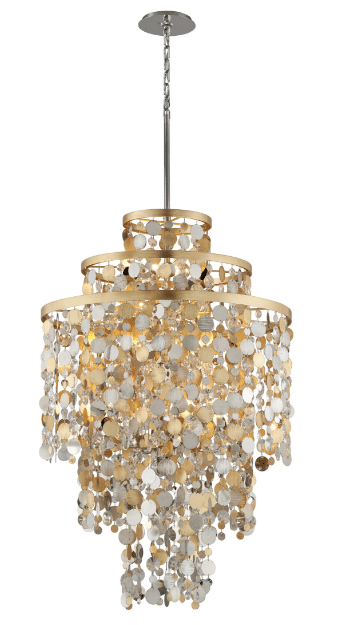 This chandelier is a stunning mix of gold, silver and crystal. 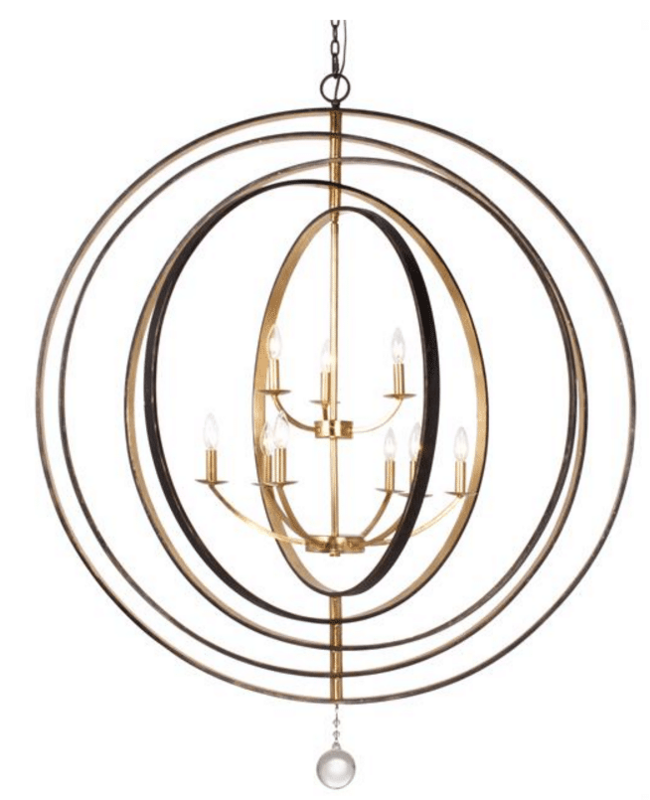 How do you size a chandelier for your foyer? I always say this, but it is so true.... You size your chandelier based on your intuition as well as using an equation. The first step is to measure the height and width of your foyer or any room for a chandelier or fixture. Then add those up. 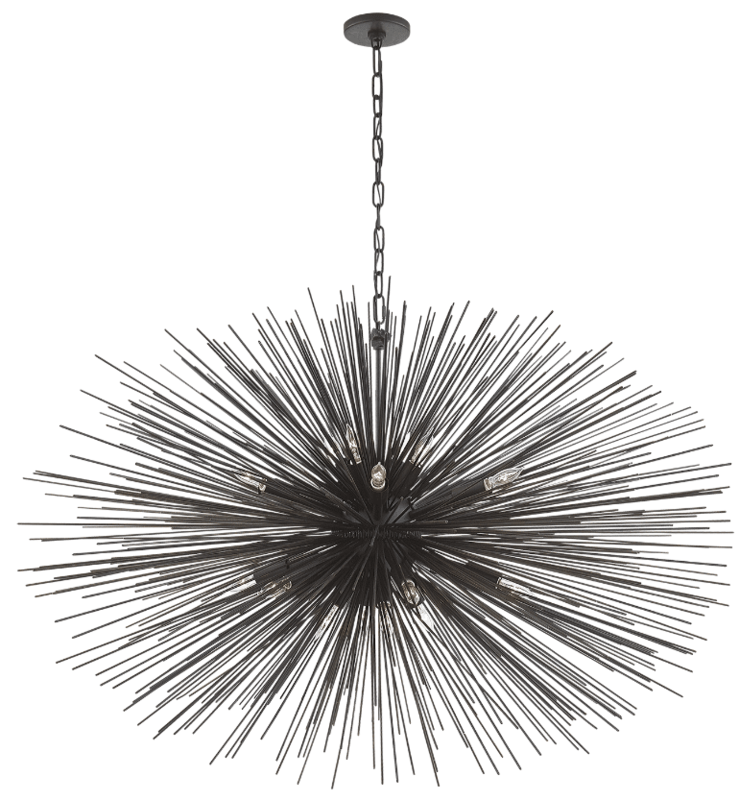 The sum of your height and width of your foyer is the size of your diameter you need for your fixture in inches. For instance, if the room is 12 x 12 then you add those two measurements to get 24. 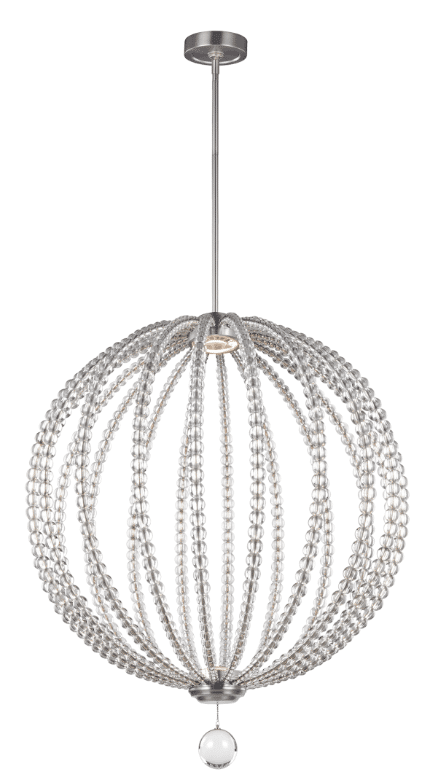 Then, 24 inches becomes the diameter of the chandelier. From there, you can go with your gut. I prefer to upsize a bit for more visual drama and impact. Most importantly, when addressing the height, you want to make sure you have sufficient clearance for people to not only walk under but lift their arms up for some reason such as carrying things or moving furniture. Personally, I recommend approximately 7 feet of clearance from the floor. Here are some of my favorites and the most popular at Yale. Should we include prices in this blog? Or a quick plug about price matching? I would not want people to shop online, even though this article is designed to be incredibly helpful to our customers. Of course, the ole table trick is great for using a chandelier that is large scale and leaves you less clearance to walk under it. Place a foyer table under the chandelier and voila! You have a masterpeice in your foyer! 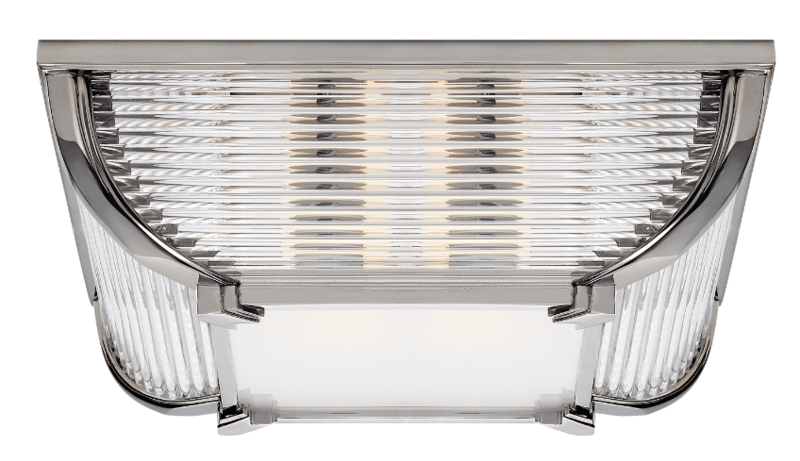 This collection is a way to use modern light fixtures in a very traditional setting with huge impact to update the entrance to your home. 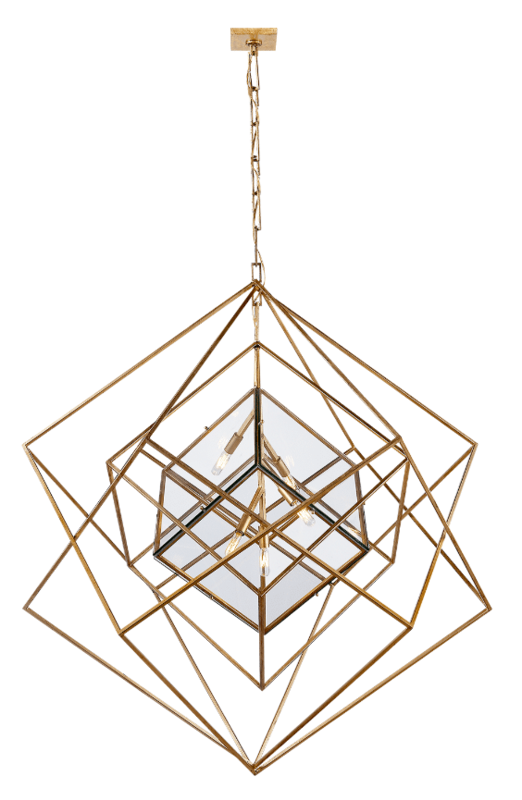 This Visual Comfort in Gilded Gold reads as contemporary with its geometric shapes. 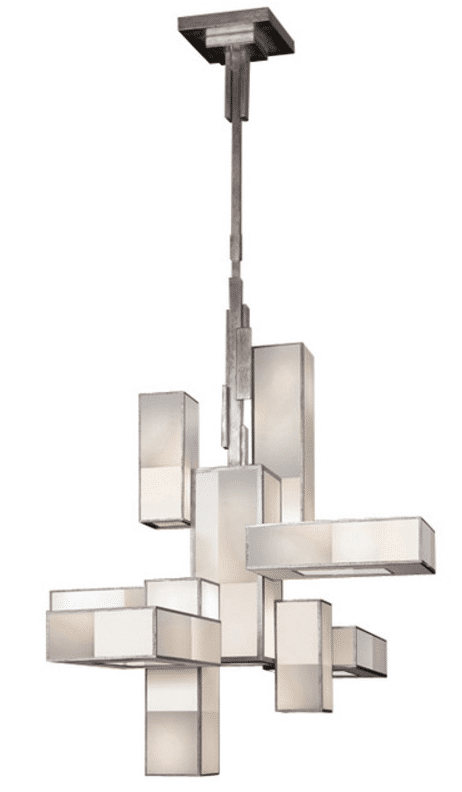 Fine Arts Perspective is shown in a transitional home yet this chandelier is very modern. 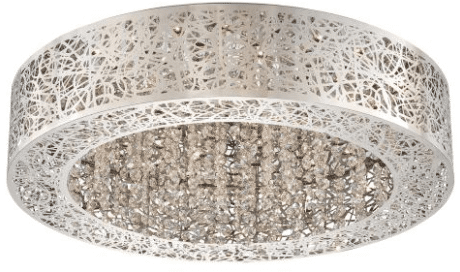 Fine Arts Lighting has a customizable collection, Natural Inspirations, which can be installed on a sloped ceiling and mounted together for a more dramatic look. 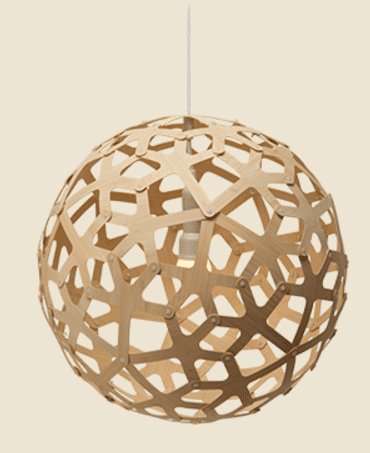 David Trubridge makes unique wooden forms to create sculptural design for chandeliers. 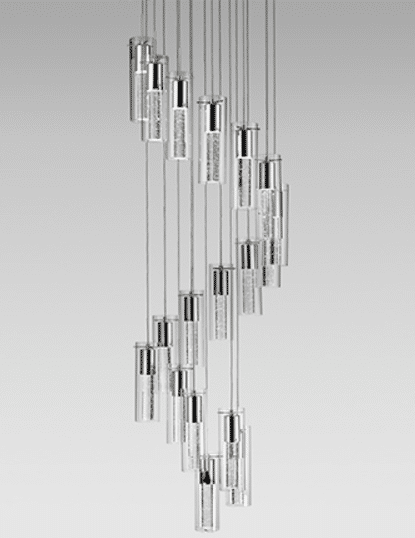 Use them in clusters of pendants to create one large art installation. This fixutre, "Coral", comes in many colors and sizes. 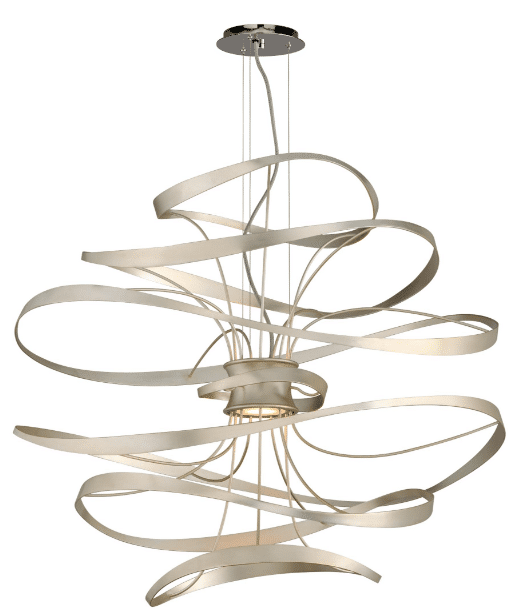 Kuzco makes spiral cascading pendants in many sizes. This compliments the winding of a stairway, again, like a piece of art. 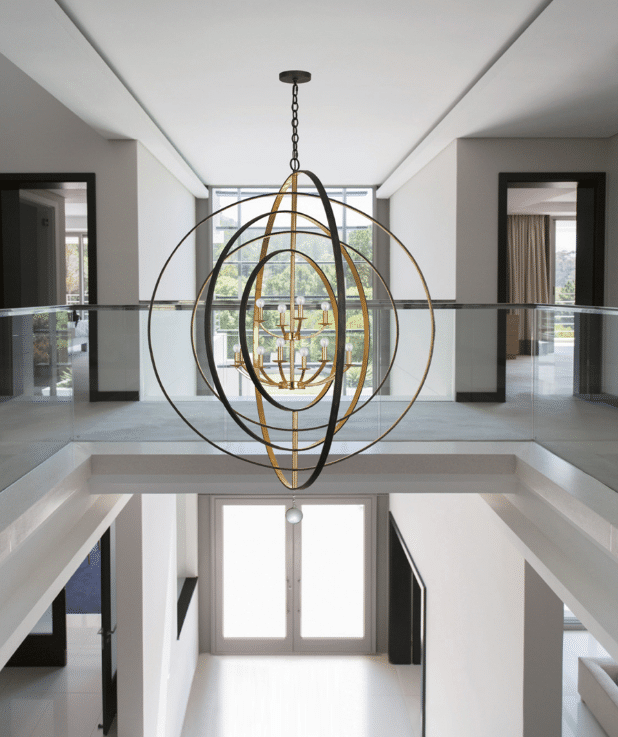 And then you have the contemporary Orb by Crystorama in a very sleek and modern foyer to bring this full circle. No pun intended! What about if you don’t have high ceilings? 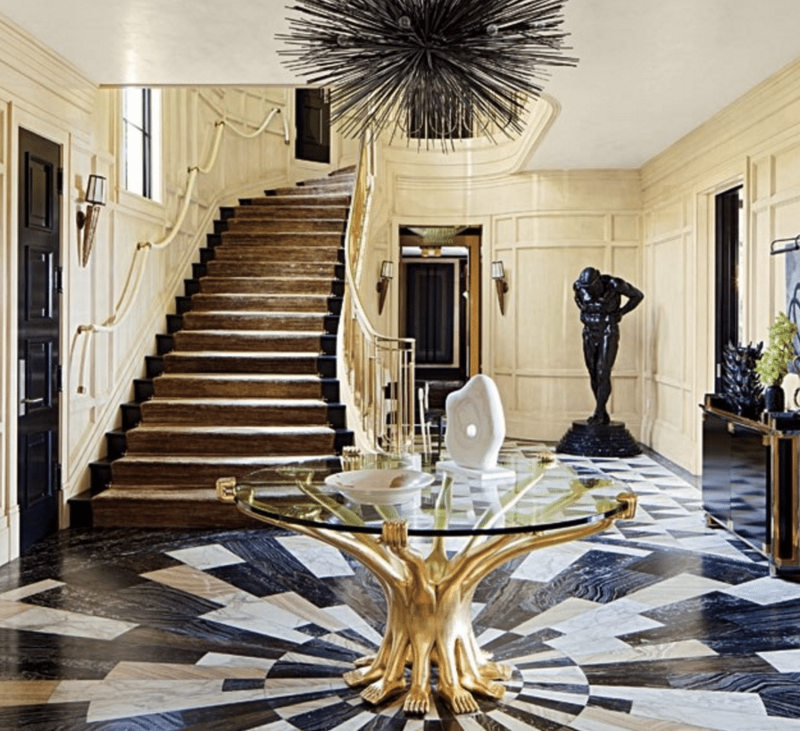 You can still be creative and dramatic with your foyer piece. Remember the entrance is your first impression to your beautiful home. In closing, we all want the entrance to our home to make a statement. There are so many options for any style, shape, and size foyer you have. 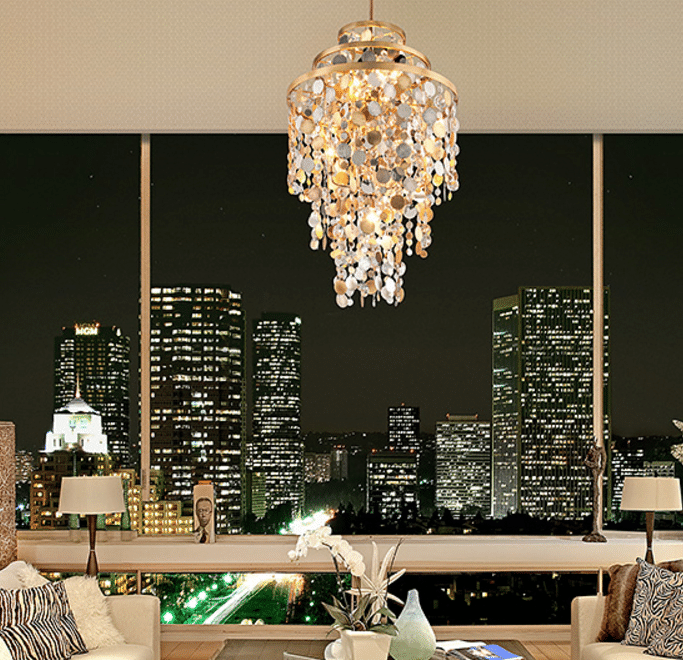 Make it your own by choosing a contemporary chandelier that suits your very own personality and lifestyle. Want more info on Kitchen Lighting? Get the Yale Kitchen Lighting Buying Guide with articles on how to properly illuminate your space using task, decorative, accent and ambient lighting. Well over 240,000 people have read a Yale Guide.